Please visit the Fire Dept. webpage for more information. 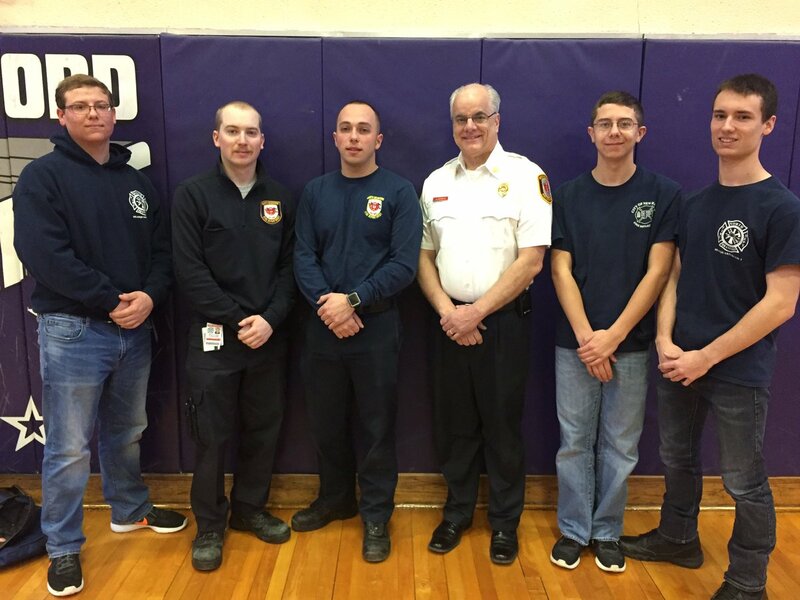 Deputy Chief Esposito and Fire Marshal Bunnell represented NBFD at the Jerome Harrison School’s KIND assembly on November 28. Thanks very much to JHS. Recently, the class of 2016 Emergency Medical Responders were recognized by the Board of Fire Commissioners. Pictured (L-R) back row Fire Chief William H. Seward III, Deputy Chief Anthony Esposito, Chairman of the Board of Fire Commissioners Ed Prunier, EMR's Lee Smith, Rebecca Santos, Nick Olsen, Matt Gillis, Louis Romano, Lev Torgerson IV and Deputy Chief Robert Colangelo. Front row (L-R) EMR's Jason Ash, Jack Mascari and Pat Ward. Missing from the photo were EMR's Melissa Agro, Jake Conway, Alyssa Franco, Alicia Glifort, Ryan Meehan and Carolann Nemergut. Congratulations to all! Members of the Zion Episcopal Church invited members of the NBFD to an appreciation picnic on Sunday September 11, 2016. Thanks very much! For information on Civil Preparedness please click here.